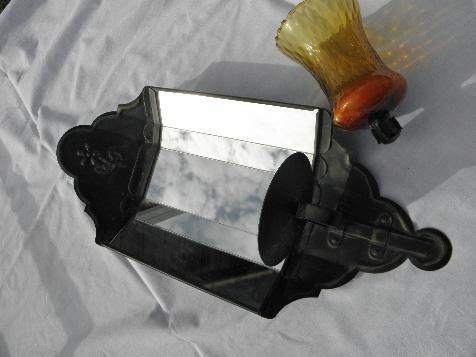 Vintage candle lamp wall sconce, metal with glass mirror panels, made to hold a votive candle. Measures 16 1/2" long, 7 1/4" wide. 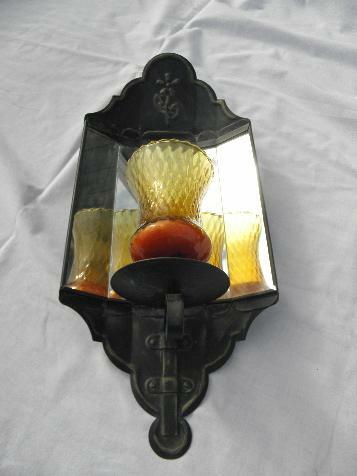 This has some wax remains in the amber glass candleholder, but it's nice and clean overall, no smoke or soot.